The Mechanicsburg, Pa.,-based Naval Sea Logistics Center, because of its early experience in such databases, runs a help desk available to thousands of agency officers and contractors. But GSA is in charge of the governmentwide effort to “evolve 10 systems into a user-centric open source” to save money and create efficiencies, testified Kevin Youel Page, GSA’s assistant commissioner for integrated award environment. His team is working with the Office of Federal Procurement Policy to achieve consolidation by 2018, with interim improvements along the way, he said. 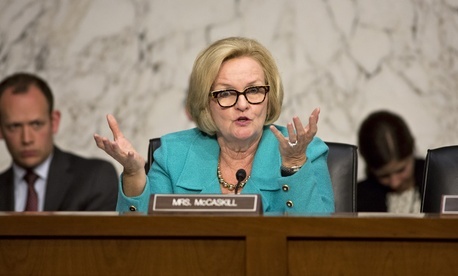 Yet McCaskill’s staff found that some of the databases “had very little information,” were usable only in Internet Explorer, contained “self-reported contractor data not verified by the agency” and are built around DUNS numbers, the industrial categorization system the government rents from Dun and Bradstreet “at substantial cost,” the senator said. Showing the hearing room a screen shot of a database search for Lockheed Martin, she said the results showed 80 entries, “riddled with confusing names and typos, with variations of names, some quite silly,” that make it “impossible for a contract officer to draw conclusions” or grasp the complicated corporate relationships. McCaskill zeroed in on BP, whose subsidiaries’ past suspensions were known to the government before the calamitous 2010 Gulf oil spill but were not handily accessible on the databases. CGI Federal, she added, had acquired the staff of another contractor with a problematic record in the run-up to winning the HHS contract to build the Affordable Care Act federal insurance exchange website. But just a week before the Government Accountability Office in June 2013 warned that the website might not be ready by its Oct. 1 deadline, CGI Federal was highly rated on the databases. In her opening statement, McCaskill lamented the absence of invited witness Beth Cobert, the Obama administration’s deputy budget director for management, for whom she had already once rescheduled the hearing. “It’s either a lack of interest in contractor performance or willful disregard of Congress and legislative oversight,” she said.